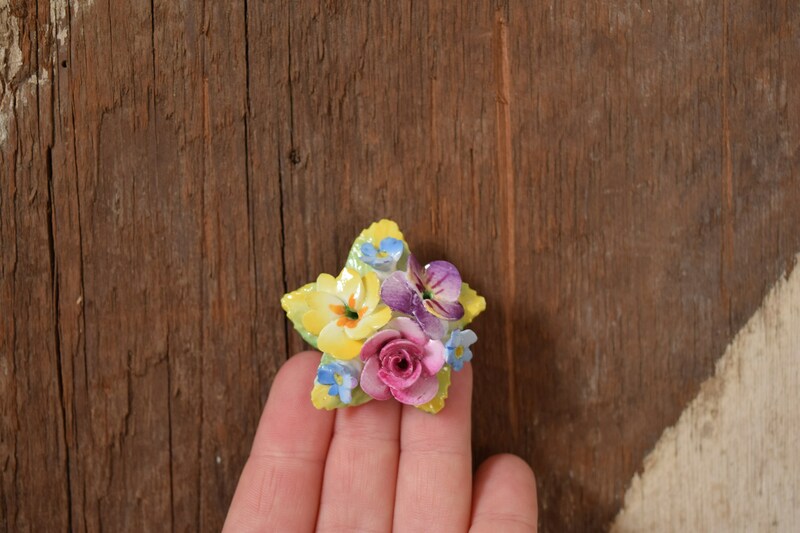 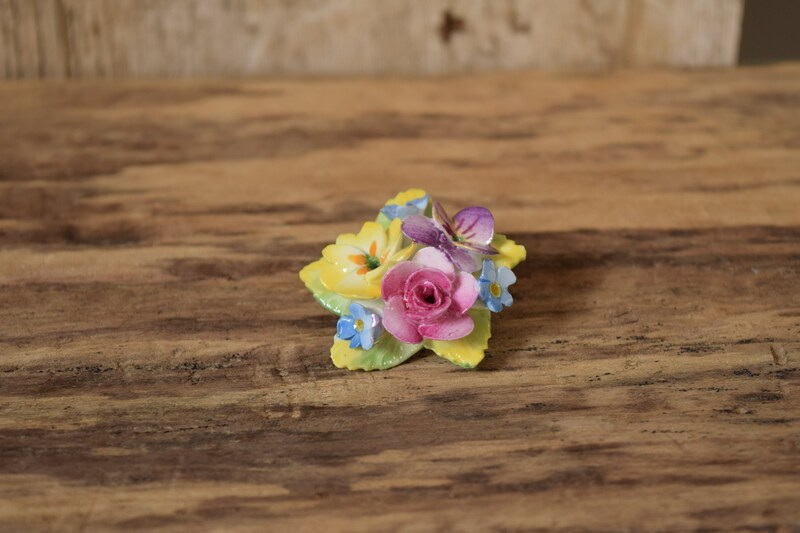 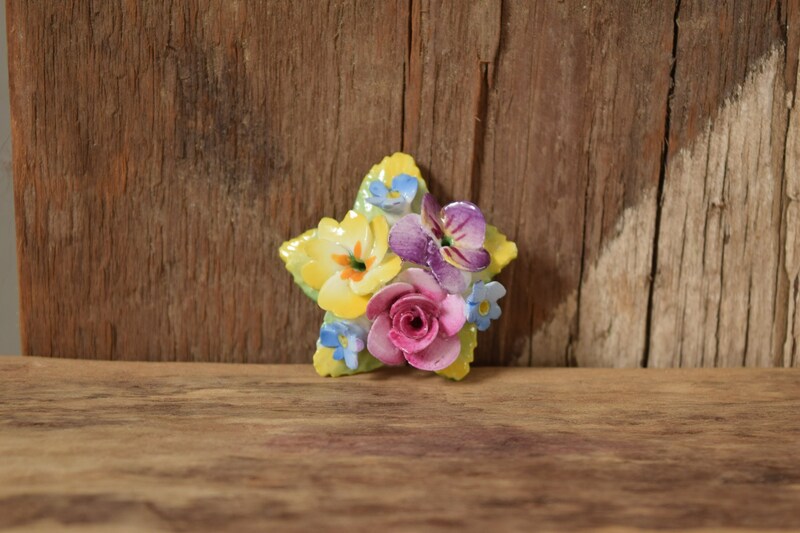 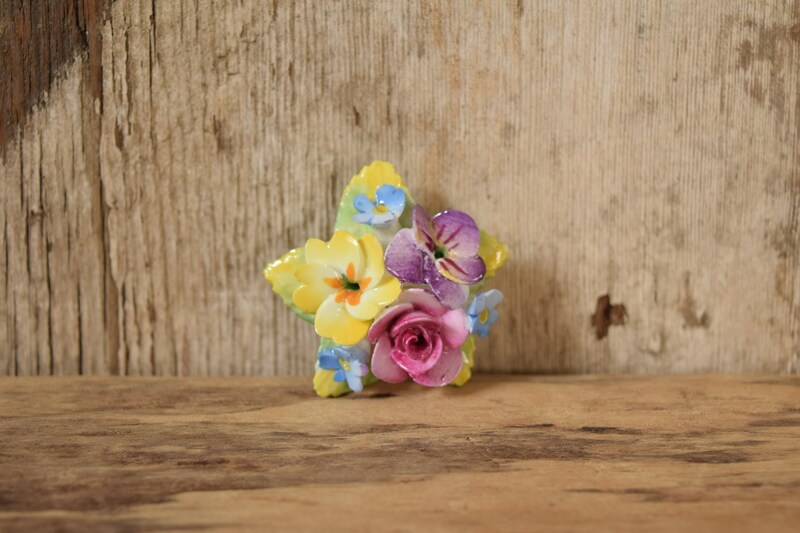 This bright spring inspired floral brooch was crafted in England. 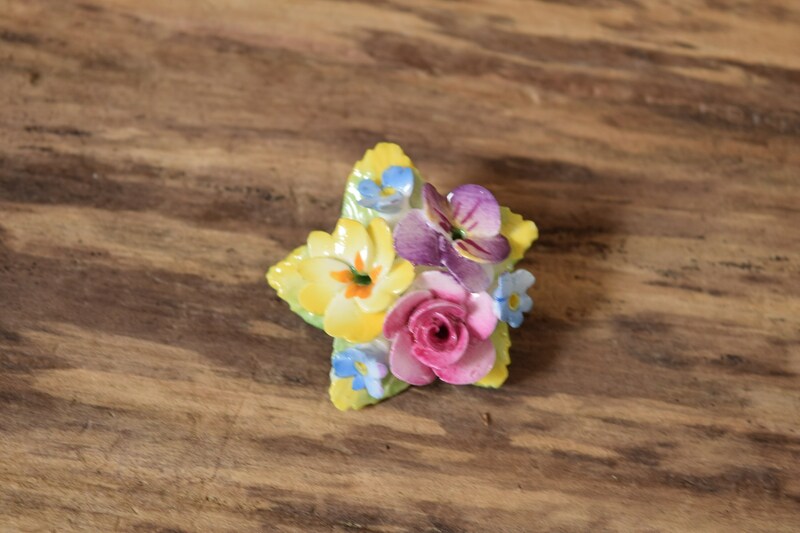 It features leaves arranged in a star shape and a variety of beautiful blooms. 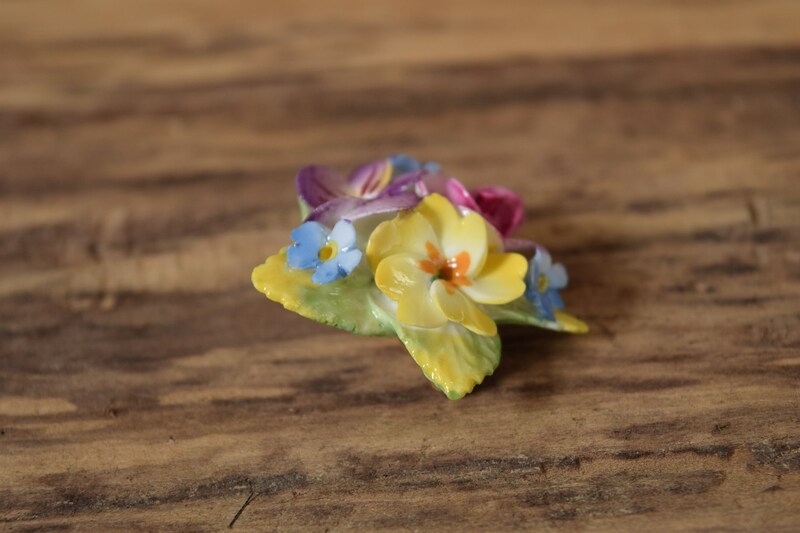 Condition: Excellent previously owned condition. 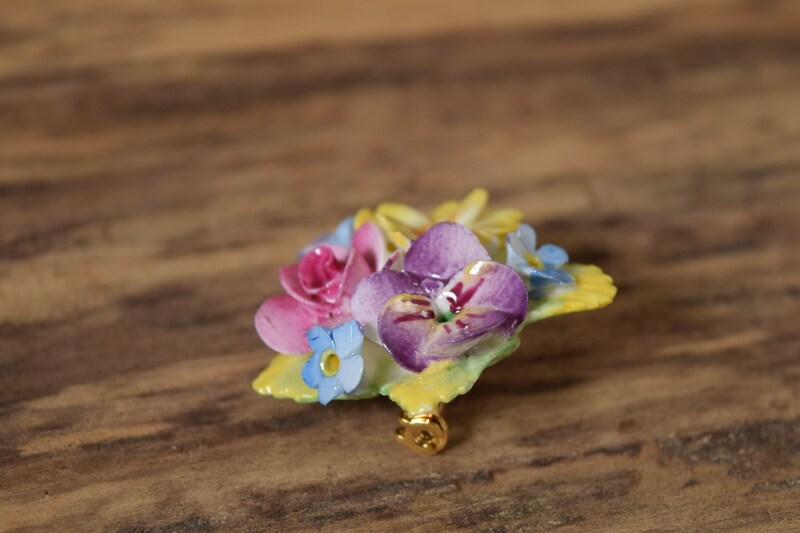 No major damages, ready for wear. 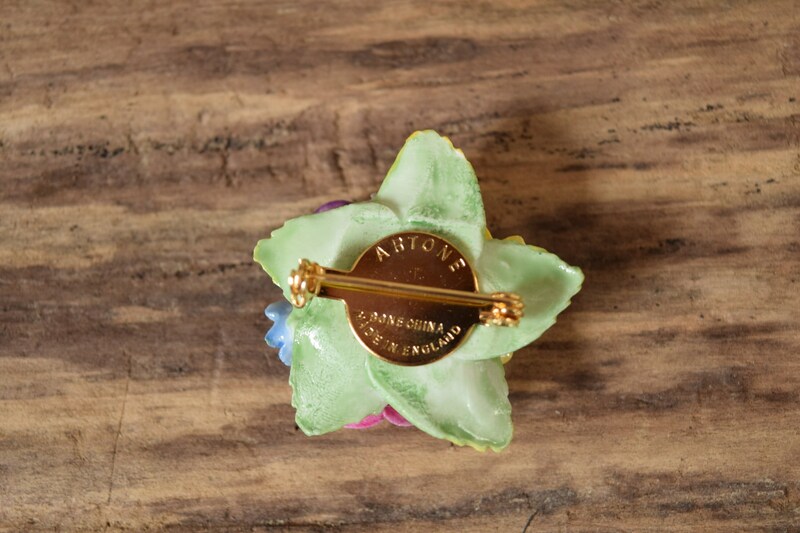 Check out all our vintage brooches and beautiful finds today!